A long four days of all sorts of weather (and an Iron Man 70.3!) faced our sailors in the Nationals last week. 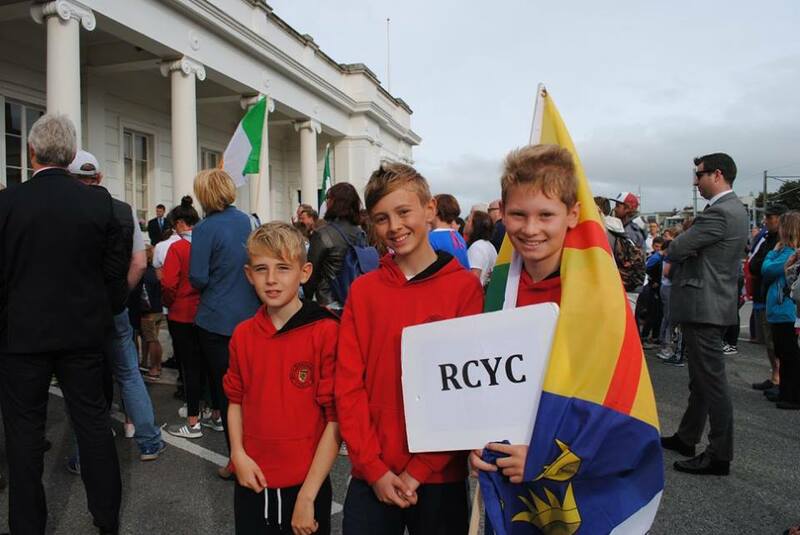 Hosted by the Royal Irish YC, the event was sailed in Dublin Bay. The regatta was competitive at all levels, but particularly in Senior fleet. The Royal Cork had the largest fleet in attendance, with 35 of our sailors taking part out of a massive entry of 183. 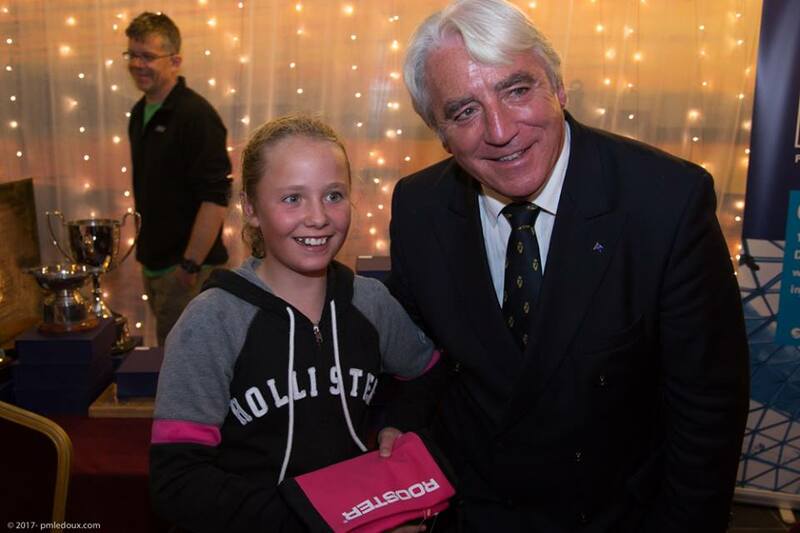 17 of our main fleet sailors were supported by Peter McCann and Nicole Hemeryck as our coaching team. Thursday saw classic Dublin Bay weather – SE thermal sea breeze fighting a SW gradient breeze all day leading to very shifty conditions. However, the PRO was determined to get races away given forecasts for later in the event and traffic restrictions on the Sunday. It made Thursday a very late finish, coming off the water about 1830. Friday was a little more settled, with lovely sunshine and a good breeze. Saturday saw a lot of W breeze (up to 30kts) in the gusts, bringing a steep chop and very challenging conditions for all the fleet (except Regatta, who were blown out). The entire fleet was sent to hide in the outer breakwater on two occasions while the PRO waited for conditions to ease, and indeed the Juniors never got racing away with the Seniors only getting 2. Sunday brought more moderate conditions, 10-15kts in an onshore breeze with a bigger wave set, and indeed more breeze than expected. However, it also brought grey, miserable conditions and made packing up quite a chore. 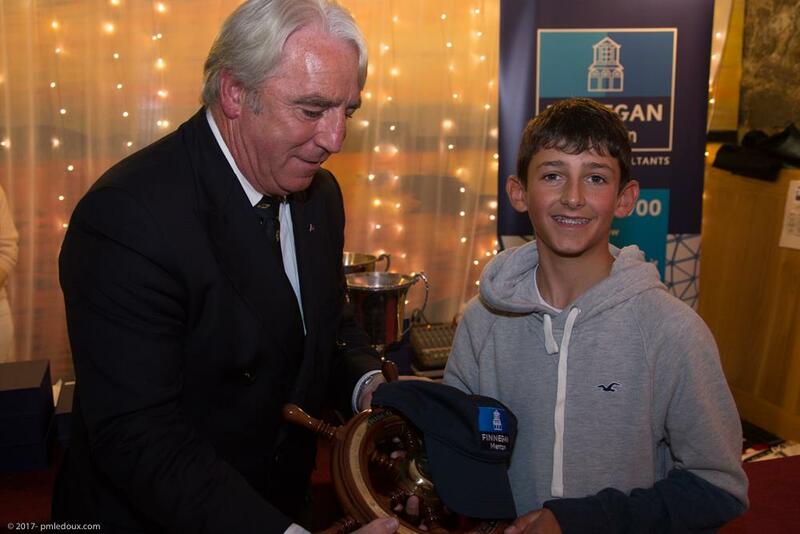 In Regatta Fleet, Daniel Horgan did really well in the conditions and finished 41st. Ellen Bruen was 5th girl and 18th overall, with good results including a 9th in the lighter breeze on Sunday. Liam Duggan also did well with 2 top 10 results and 15th overall. 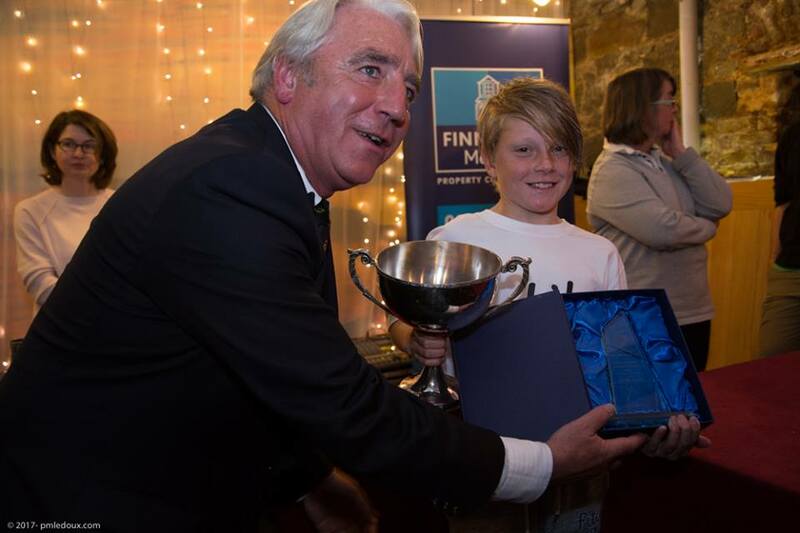 Charlie Venner lead the Royal Cork Regatta Fleet placings. He went well in the breeze with 3 fourth places early in the series, finishing 5th Irish and best Under 11, 8th overall. In Junior Fleet David McSweeney and Rian Collins showed great resilience in the conditions, finishing 60th and 58th respectively. George O’Keeffe narrowly missed out a top 50 placing having to use one of his discards for a DNS in Race 5. Emmet Lucas placed 42nd. 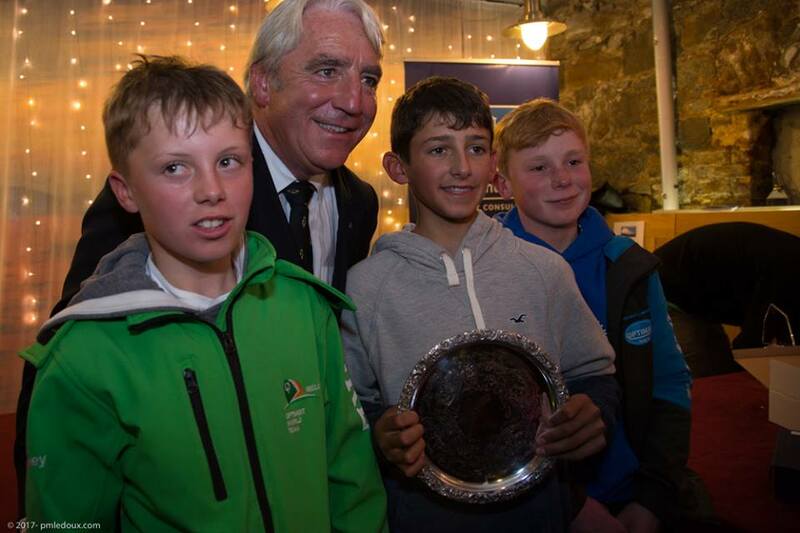 The Royal Cork nearly had a lockout on the Junior Silver Fleet, taking 4 of the top 5 places. In 39th overall, 4th and best girl in Silver was Alana Twomey; 37th overall, 3rd Silver was James Murphy in 37th; George Pritchard 2nd Silver/27th overall, and Ben O’Shaughnessy took the National Junior Silver Fleet title and a great 15th overall (and best Royal Cork Junior). Junior Gold fleet saw Lucy Bateman in 37th, Simon Pritchard 21st and Anna Keal 18th and first Irish girl. Anna Keal – first Irish Junior Girl. Credit IODAI/Facebook. In Senior fleet, Cian McDonagh unfortunately was forced to use both discards on DNCs, costing him a good few places finishing 62nd. Ciara Burns was next up in 55th with Darragh Collins 2 places ahead of her. Eva Spillane narrowly missed out on top 5 silver in 49th. Kate Horgan was 37th, with Jamie Venner next up in 34th. Patrick Bruen showed good consistency to finish 30th. The next club sailor was Eoin Horgan in 26th, but his great 9th in Race 6 was not enough to put him ahead of fellow club mate Richard McSweeney in 25th. 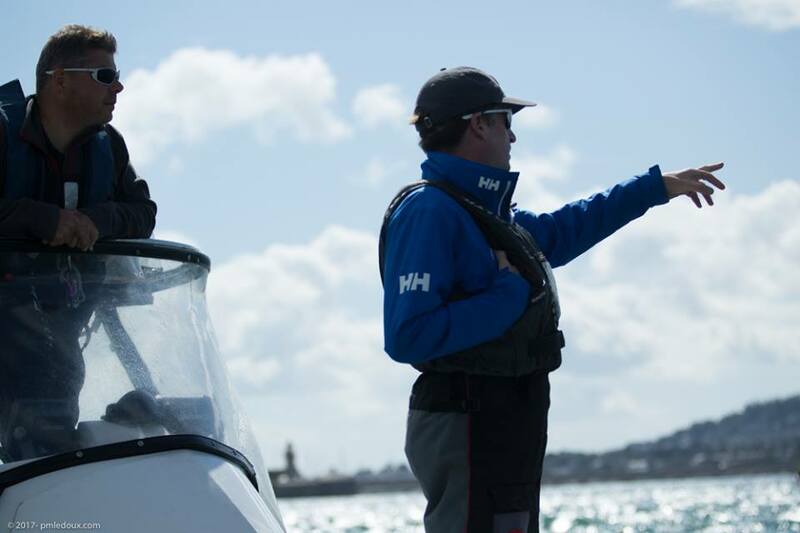 Cillian Foster was on the way to a fantastic Friday, with a 2nd and a 3rd when his mainsheet shredded while well up there in the third of the day, putting paid to his run of form until Sunday – finishing just outside the top 20 in 21st. James Dwyer Matthews came through in 14th, and Michael Crosbie narrowly missed out on a top 10 finish in 11th overall. The Royal Cork had 4 of the top 10, and 3 of the top 5 in an amazingly competitive senior fleet. In 7th was Harry Pritchard, 5th was Harry Twomey, losing out to fellow clubmate Rory O’Sullivan on countback. 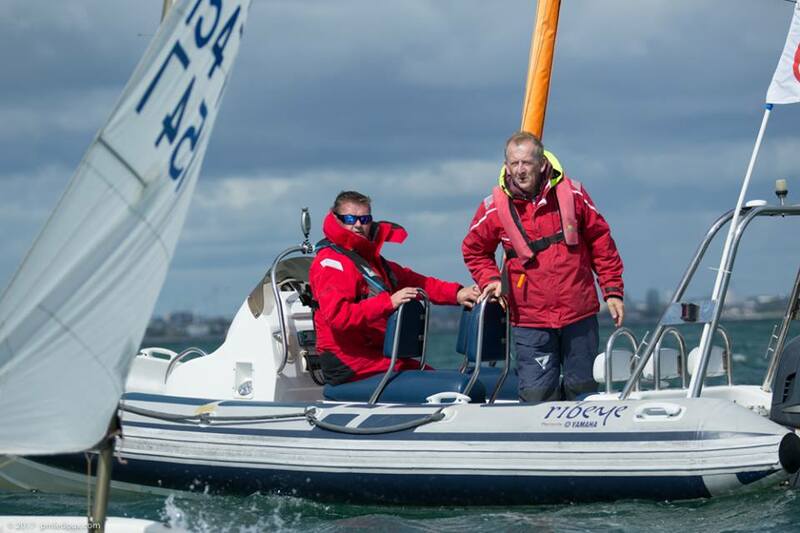 Best Royal Cork sailor was Justin Lucas in 2nd, who progressively chased down the leaderboard over the week, finished the Regatta with a bullet and missed the title by just 1 point. Other club members who sailed under their home burgees were Neil O’Leary, (Lough Derg YC) finishing 44th and 4th Silver; Stephen Cunnane (Dingle SC) 32nd; Archie Daly in 35th (Royal St. George) and winning VP Team member Eimer McMorrow-Moriarty (Tralee Bay SC) in 16th overall. At the AGM of IODAI held on the Saturday evening, a new President was elected – congratulations and best of luck to Tim Lucas! Thanks to everyone who helped out moving boats, coaches, sailors as well as minding our team on and off the water. Next up is the At Home, then we are into the Burns Trophy series running through September and the final IODAI event of the year in the National YC for the Leinsters.